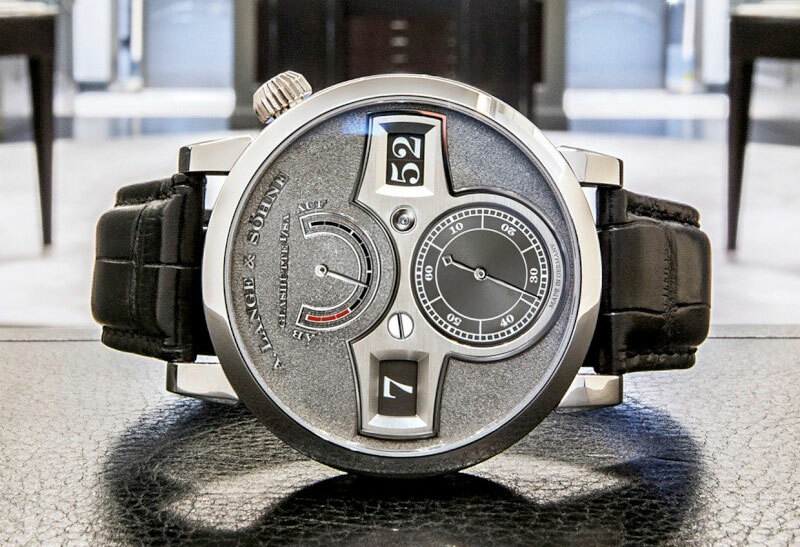 There are some watch designs that not only stand the test of time, but in the case of war, also transcend their original context to become a classic. Such a watch, the B-Uhr, the offspring of Germany and Switzerland’s leading watchmakers, has a noted history of design and production, but was employed for an infamous cause. The B-Uhren watches guided German bombers in their terrible campaigns of World War II with dropped bombs whistling through air to end in devastating consequence. The B-Uhr remains a formidable watch. In 1935, Adolf Hitler announced his plans to reconstitute Germany’s Air Force and officially created the Luftwaffe. Germany had been building its aviation forces, decidedly military in purpose and in violation of WWI’s Versailles Treaty, but this buildup had proceeded ostensibly for civilian purposes. With his power consolidated, Hitler shrugged off all pretense and announced Germany’s resumption of military procurement. 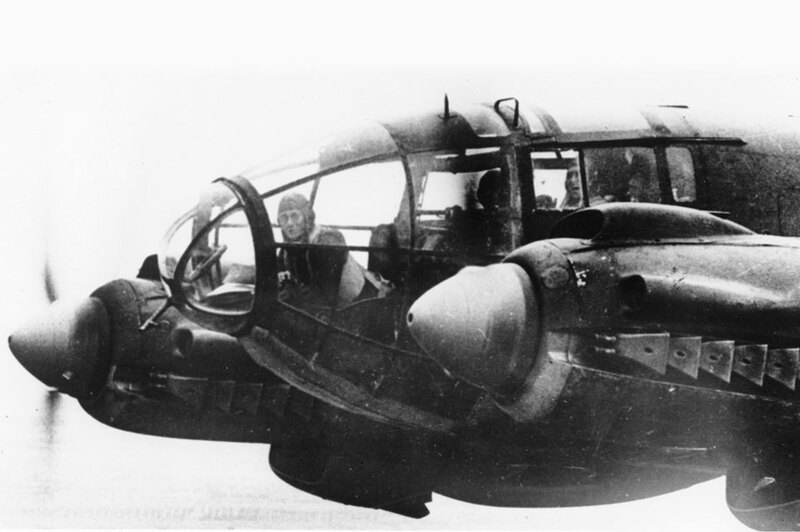 Prior to 1935, the Heinkel He 111 bomber supposedly existed as a transport plane just as the National Socialist Party supposedly sought to establish peace and prosperity. Though few (including watchmakers) knew it at the time, Germany was preparing for war. The RLM (Reichs-Luftfahrtministerium), responsible for aircraft development, also sought a commensurate time piece for its bomber navigators. 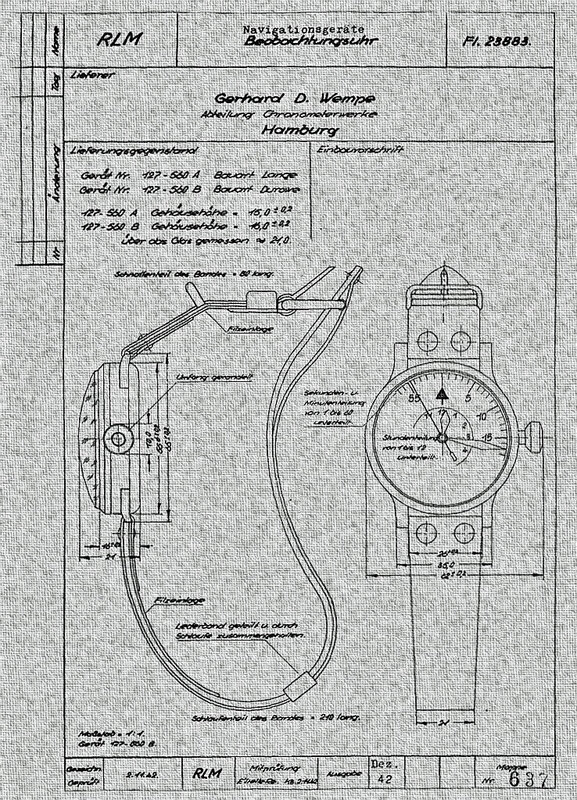 The 1935 conceptual designs first specified an hour angle indication like the Lindbergh watch (see here), but this specification was dropped, and standard criteria emerged, making the B-Uhr instantly recognizable. The large size made them unambiguously legible and their black dials with white Arabic numerals further aided the task of precise reading. The flame-blued sword hands were covered in luminous material as was the distinguishing upwards-orientation triangle or arrow at the twelve o’clock position, accompanied by two dots on the Type A models. The initial Type A model had only an outer chapter ring, but the later type B (starting in 1941) had an outer ring for minutes/seconds and an inner ring for hours. Each case had FL23883 engraved on the left side. FL designated flieger, and 23 identified the watch as a navigation watch. 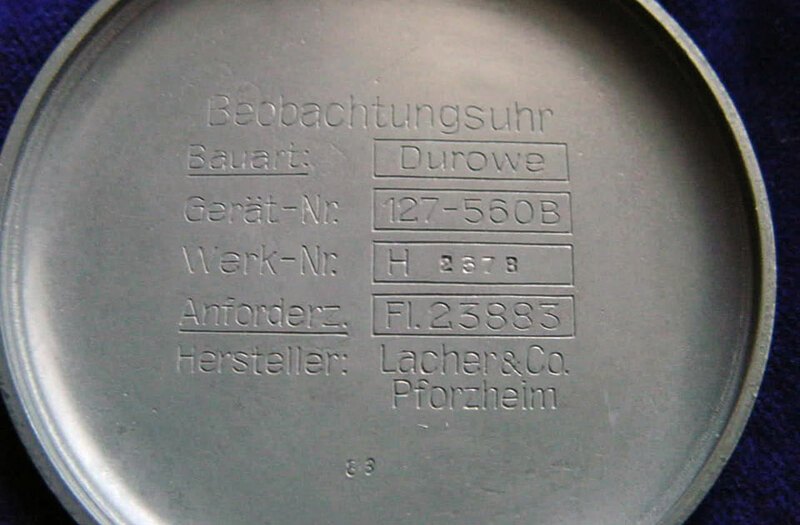 The snap-off case back had the following identifying information on its inside: type (Bauart), production number (Gerät-Nr. ), movement (Werk-Bez. ), order number (Anforderz), and manufacturer (Hersteller). The RLM and its partner watch manufacturers produced a novel design, which would attain cult status. B-Uhren is an abbreviation for Beobachtungs-uhren, literally Observation watches. B-Uhr is singular, and B-Uhren is plural. The B-Uhren were property of the Luftwaffe, not the navigators. The navigator was issued his watch before flight, and then returned the watch after completing the mission. Navigators received a signal beep from the airbase, which in turn set its chronometer to the standard time of the German Naval Observatory (Deutsche Seewarte), and if the navigator’s time was off, the hacking mechanism allowed for adjustment. An accurate watch was necessary for navigation, so all the B-Uhren watches were regulated and tested to the highest chronometer standards of the Deutsche Seewarte in Hamburg. Bomber navigators peered over the navigation table, their B-Uhren at the ready, and plotted course, copied astronomical fixes and noted events on the map. The B-Uhr was a consummate navigational aid. Five manufacturers – four German and one Swiss – supplied the B-Uhren. In Germany, A. Lange & Söhne, Wempe, Lacher & Company/Durowe (Laco), and Walter Storz (Stowa) produced the watch. Wempe and Stowa used Swiss movements; Wempe settled on the Thommen cal. 31, and Stowa used the Unitas cal. 2812. Lange used its big cal. 48 and then its cal. 48.1, and Laco used its (Durowe) cal. 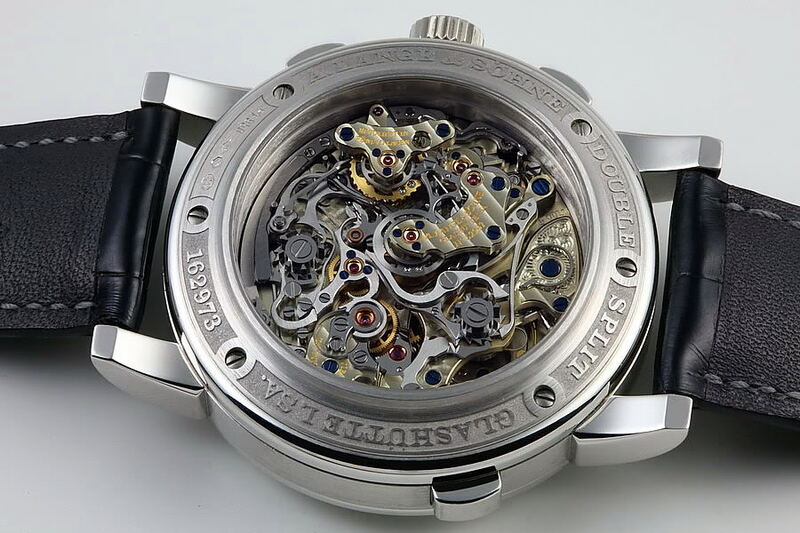 5 – the only two companies to use in-house German movements. When Wempe purchased the Chronometerwerk in Hamburg in 1938, it gained a significant increase in production capacity, and to assist the limited production faced by Lange and Laco, Wempe assembled watches for them. 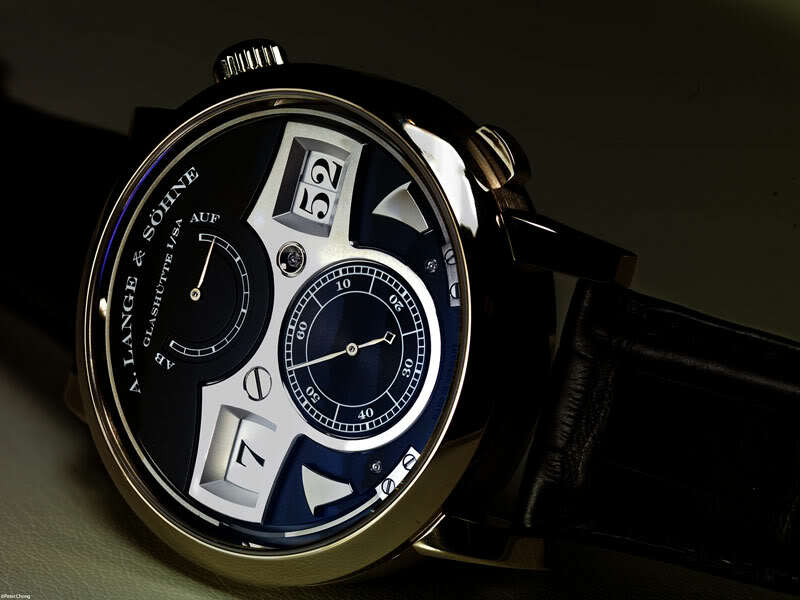 To meet demand, Lange also sent ébauches and cases to a variety of other manufacturers for assembly and regulation. In smaller numbers, the Swiss International Watch Company IWC who supplied watches to both Axis and Allied forces, manufactured the B-Uhr (cal. 52T S.C.) for the Luftwaffe. These five companies were the only ones to make the B-Uhr. Today, the available Lange or Wempe B-Uhren are vintage watches from the war, and if you can find one, they come with hefty price tags. IWC’s Big Pilot watch is an evolution from the B-Uhr, having its predecessor’s DNA, but sporting an adapted design. This is a watch made for aviation, and as such, retains an anti-magnetic feature – the only current watch to do so. Unlike its no-frills B-Uhr predecessor, the Big Pilot elevates the navigational concept to a higher echelon of quality and function, providing a luxury timepiece (see here). Stowa, now owned by watchmaker Jörg Schauer, offers a nice homage to the B-Uhr in a dressier version (see here). The case is polished, the movement decorated, visible through a transparent case back, and the 40mm size is the smallest of this group. They also offer a date window option. Stowa makes a fine watch, but be prepared to wait for its arrival – demand far exceeds production. Laco offers a wide range of movement choices, providing a greater range of affordability, but its watches featuring ETA and hand winding movements are the watches of note. In these, Laco produces what might be termed a reproduction, having carefully recreated the design of the original watch down to the smallest detail, from the dial design to the FL23883 engraved on the case’s side to the inner case back information ingeniously moved to the outside. These Laco watches measure 42mm and 45mm (see here). Both Stowa and Laco offer flame blued hands, sapphire crystal, riveted leather straps, superb luminosity and Type A and B models. Of the original manufacturers, IWC, Stowa and Laco each offer a contemporary B-Uhr choice. The Third Reich rose and fell. The machinations of a megalomaniac captivated a nation, then enslaved it, and dragged the world back into another world war, leaving a trail of devastation and horror. The B-Uhr was designed when Germany began to reequip its military, specifically the Luftwaffe, but few knew what aggression the watch would serve. Bred to equip the military navigator, the B-Uhr remains a marvel of clean design and simplicity. 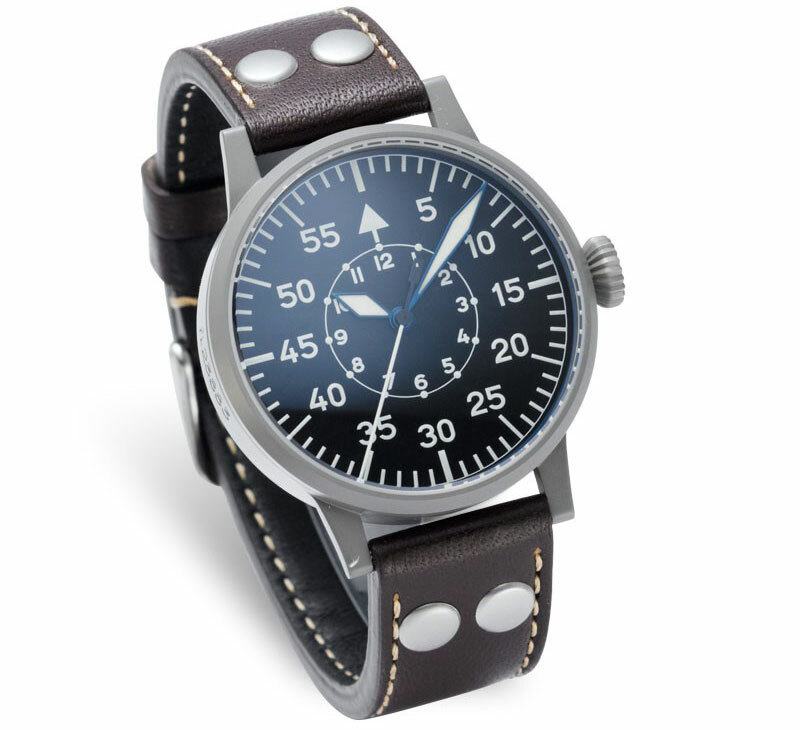 And click here for an overview of all our articles about pilot’s watches. Another fine installation. EXCELLENT work! Good article, while I follow your page and the truth is that I love the work you do, so I go back to read you every time I have available a while. The photo of the case back engraving is of “Laco” not “Stowa” as you write in the caption. Please edit. Hager Watches makes an amazing tribute the B-Uhr. I just bought one. 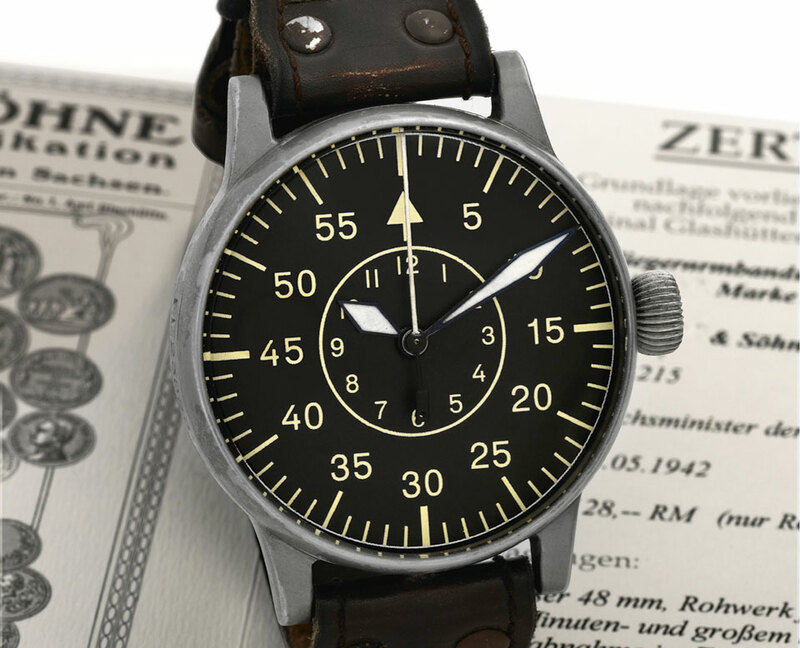 Pingback: Why do German pilot watches seem more sought after than pilots from other countries ? While I understand flieger watches were meant to be massive (45mm), I do have small 6 inch wrists and I do like the B style. Do you have any B style ones to recommend that are probably in the 38mm diameter and >45 lug-to-lug length? Dear Ronald, the original Flieger watches were indeed massive (not 45mm but 55mm). As for modern watches inspired by these WWII Fliegers, we often see large diameters, even though some brands offer smaller versions. 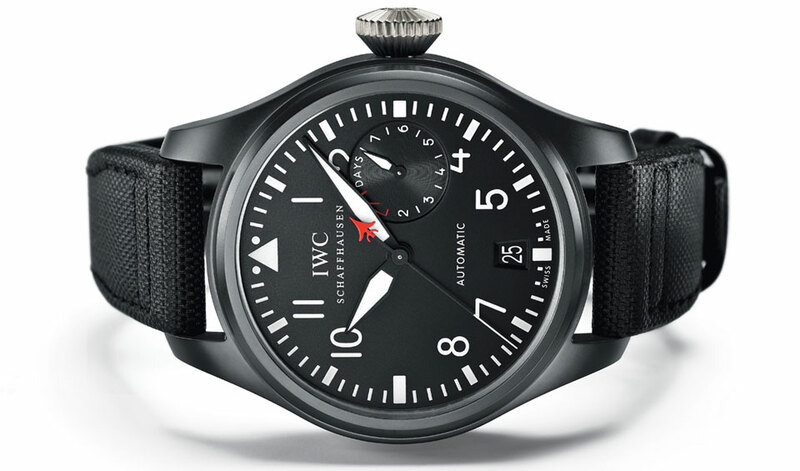 For instance, IWC has the Mark XVIII, their smaller version of the Pilot’s watch, at 40mm. 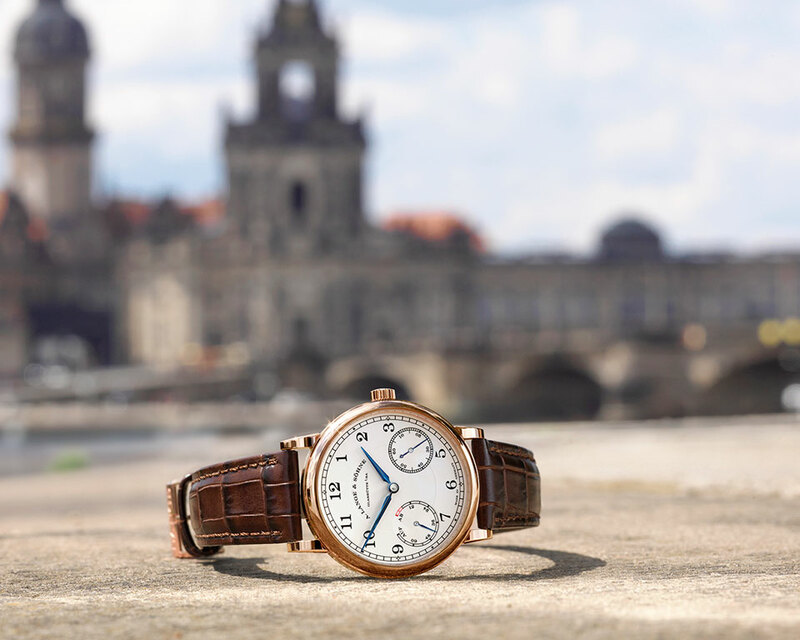 You can also look at brands such as Stowa or Laco (both historically relevant), which offer more affordable watches ranging from 36mm to 42mm. Interestingly, the modern Seiko SN809 model, with a mere 38mm diameter, has a dial obviously copying the B-Uhr! Delightful watches. I’m currently waiting for a Laco ‘Ingolstadt’ to arrived. 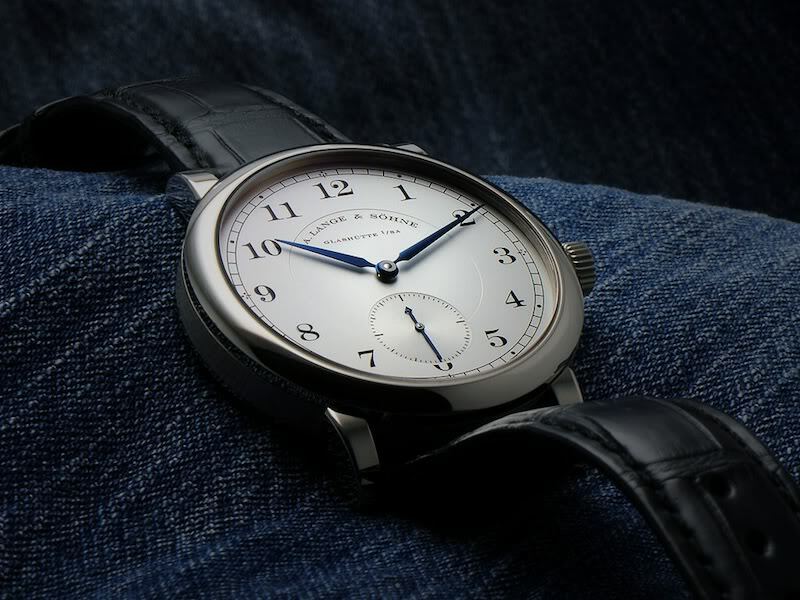 It’s one of their B-Uhren in the B-style, and comes in a distressed 38mm steel case and artificial patina on the face. Laco rebrand a Miyota automatic movement which will do just fine. 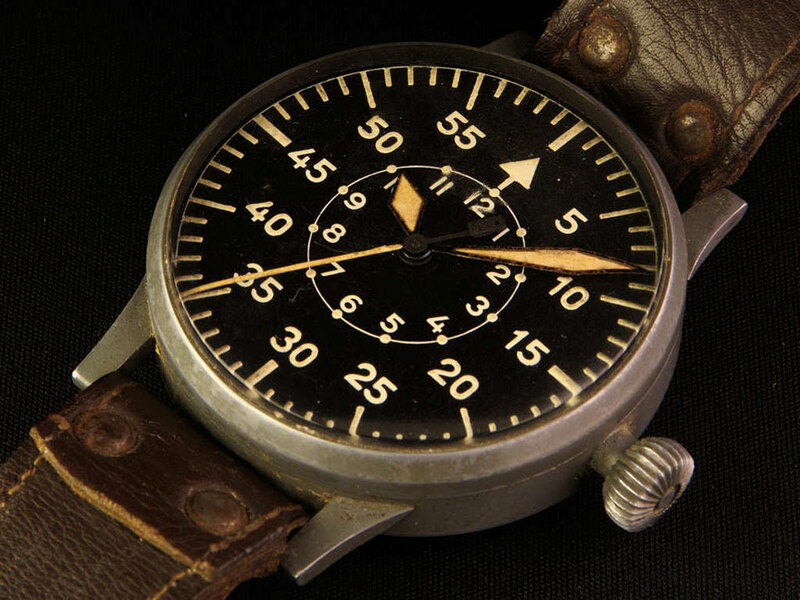 I didn’t see it here in this series but I am dying to know where the large numerals at 3,6,9,12 style of pilot watch originated, as seen in Bell & Ross BR-01 and lots of Torgoen stuff, among many others. Was B&R the first to do that particular look?